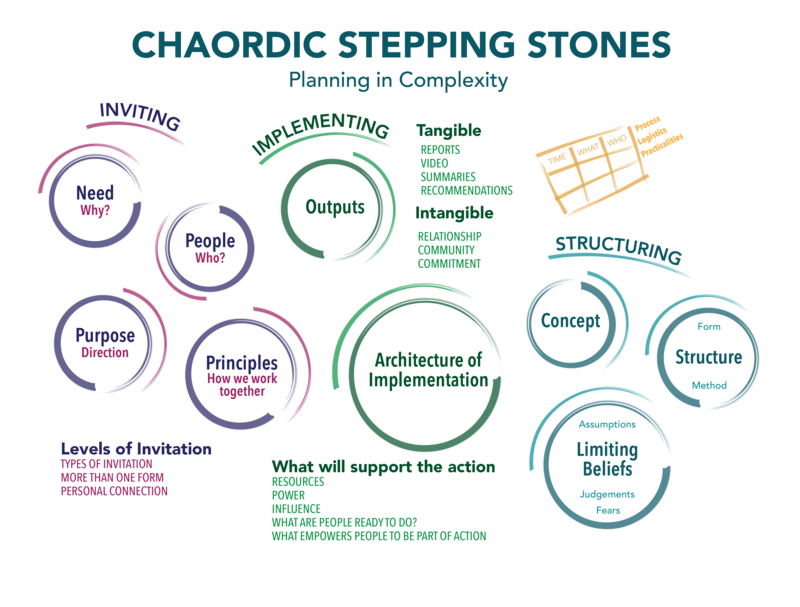 Over many years I have been using the chaordic stepping stones as the basis for all work I do with clients. This is a tool that I first heard of in the Art of Hosting community in about 2004. It was originally based on the chaordic lenses that Dee Hock developed to design organizations that took advantage of both order and chaos. It has been useful and rich and created all kinds of outcomes that would not have been possible other wise. And through nearly a decade of practice with this tool, I’ve learned a few things about how it works and I’ve adopted the tool based on this action research. Today I’ve posted my new version of the document for download. Download the tool here. Please feel free to use it as you see fit and to use it to develop your own versions as well.